A team of scientists working to establish the Sargasso Sea as a protected area has just completed the first of two voyages in Bermuda waters collecting marine data, as Gareth Finighan reports in this aticle for the Royal Gazette. The Sea Dragon, which is operated by Pangaea Exploration, is here to conduct research into the impact of human activity on the delicate ecosystem. Local and overseas scientists, teachers and environmental advocates crewed the first three day voyage, which ended on Tuesday. Sea Dragon will sail on a second voyage tomorrow, spending a further five days at sea conducting research. A spokesman for Bermuda Alliance for Sargasso Sea (BASS) — a non-profit organisation working with Government to get marine protection status for the sea, said: “Expedition members investigated Sargassum seaweed and all the creatures that live on it, explored the colonisation of plastic debris by marine organisms such as a bucket covered in goose barnacles and other sedentary creatures, and at night performed vertical plankton tows to find animals that rise from the depths of the ocean at night. BASS has organised a public summit at Bermuda College on June 7 between 9.30am and 12.30pm to discuss the findings in relation to these voyages. It will also be hosting a cocktail party and lecture at BAMZ on the same day at 7pm. 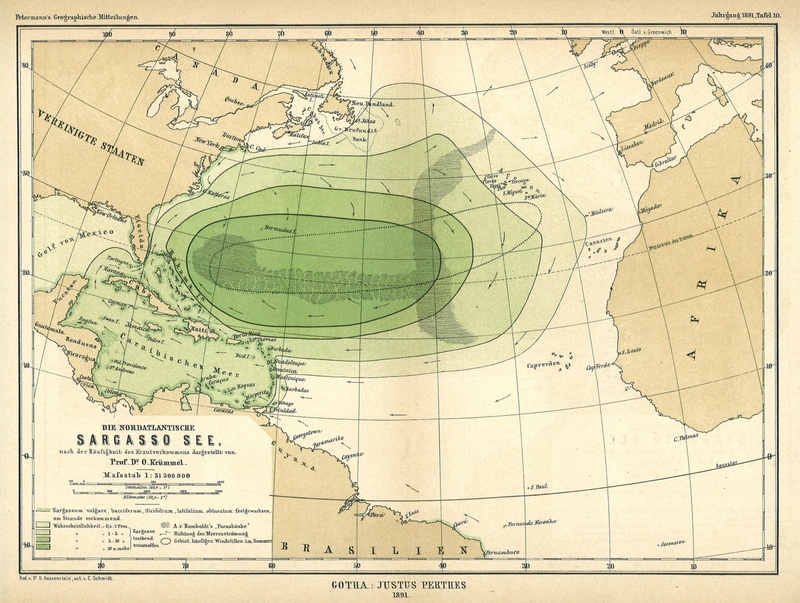 According to BASS, the Sargasso Sea is one of the world’s most productive marine ecosystems which feeds and protects the young and forms a migratory corridor for many endangered and commercially harvested species. “It is a golden rainforest of the Atlantic covering nearly five-million square kilometres of ocean and Bermuda is the only land mass within it,” the spokesman said.